When you put on your headphones, are you creating a bubble of privacy, or do you want to be aware of the world around you? 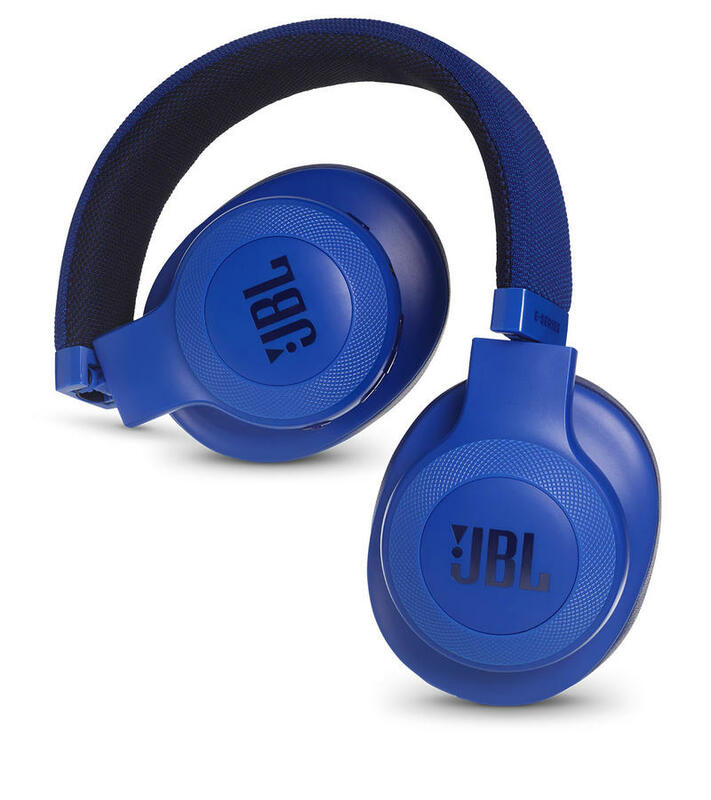 When you look at the JBL-E55BT headphones, that's the question you'll have to ask yourself. 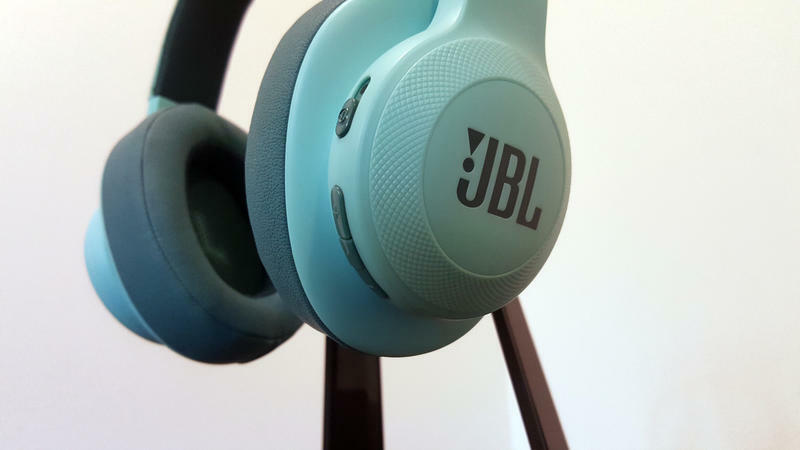 JBL sent us a pair of their latest Bluetooth-powered headphones to check out, and we spent hours and hours listening to them to see if they were worth the $150 asking price. 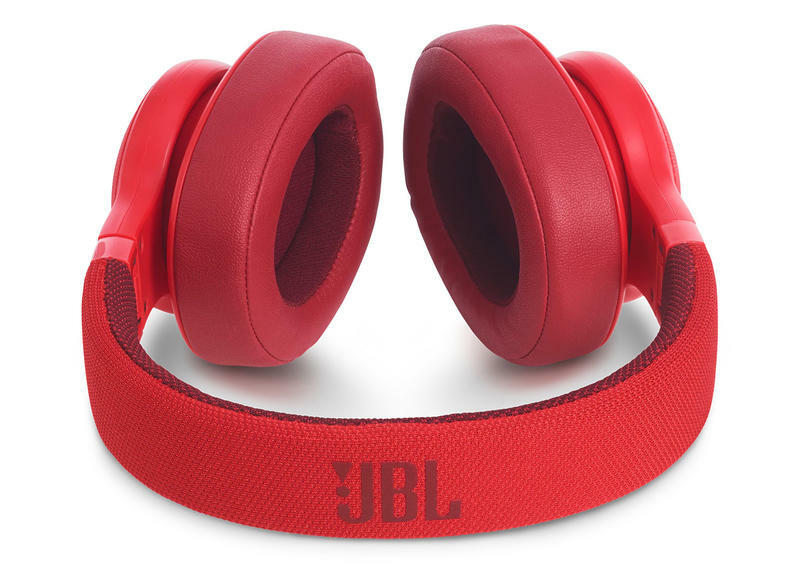 Bluetooth headphones can vary wildly in quality, especially around the $150 price JBL is asking for the E55BTs, but I was pleased with the output of the set. This is going to be somewhat subjective, but I don't think anyone is going to be disappointed with them. The headphones have no problem getting way-too-loud, and even at those ear-damaging volumes the distortion takes some searching to find. The 50-mm drivers deliver solid bass. It's not amazing, but it's not bad, either. The mid-ranges for vocals were pretty good, too. Occasionally the treble was a bit over-emphasized, and it made the headphones feel louder than they actually were, but it wasn't a deal-breaker by any means. Running the headphones through the 3.5mm jack in passive mode sounded similarly good. My biggest problem with them is that they don't isolate very well. These are over-the-ear headphones with closed ears, so they shouldn't let very much in, but regardless of setting and music, I could always hear the outside world when I put them on. Similarly, they don't lock the sound in terribly well, either, with plenty of music leaking out to the surroundings. The E55BTs offer no noise-cancelling functionality, so the ability to isolate becomes crucial, and it just isn't there. If you like to be able to hear the world around you – if you're walking around outside or riding a bike or something – then that might be an advantage. In terms of pure listening, though, it's a weak point on otherwise solid headphones. These aren't headphones that you hang carefully on a hook when you're done with them. They get thrown in the backpack or set on your desk with a charger. And the build quality of the E55BTs seems to reinforce that. 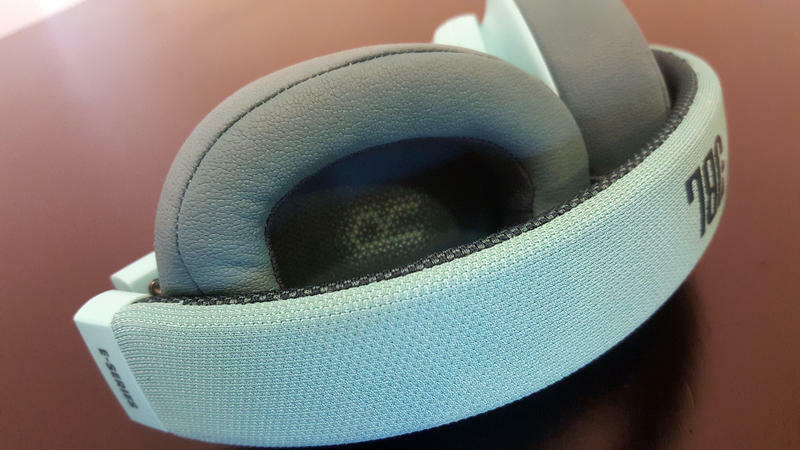 The ear cups themselves are a combination of soft faux leather and sturdy-feeling plastic, while the headband has textured fabric that seems like it'll stand up to some abuse and resist a dirty look for a long time, though I didn't roll around the dirt to confirm this. As portable headphones, they do fold in, and the hinges are made of strong metal. There's no case to go with them, which is a bit disappointing, but they should resist the abuse that comes with bouncing around in a backpack or gym bag. They also don't creak like so many other headphones do either while they're being worn of when they're going into or out of storage. All of this makes for a comfortable feel that allows long-term wear. I've worn these for hours at a time while writing, and I really only ever took them off to get up, not because they were wearing on me. They feel sticky without feeling constrictive. 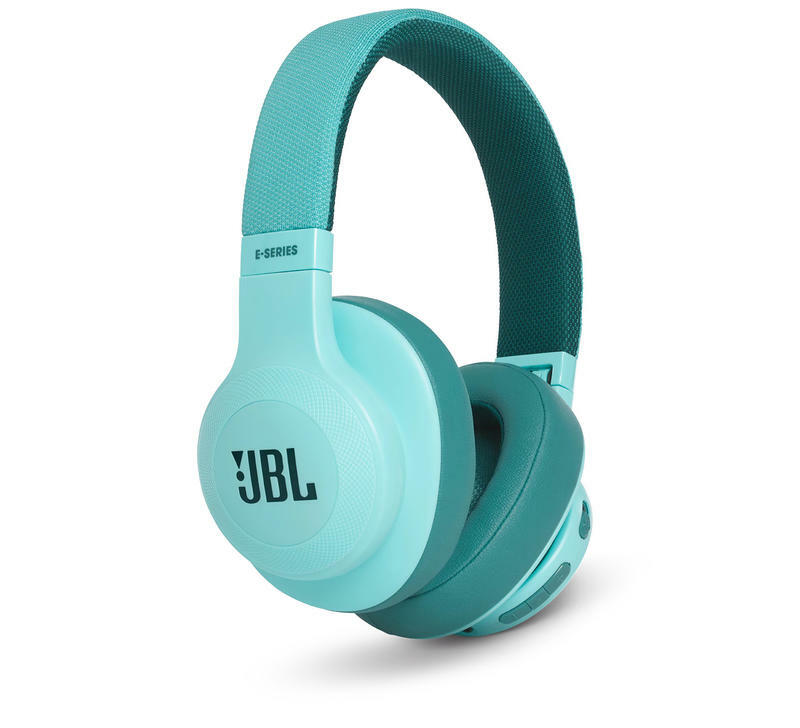 While the headphones come in black, white, blue, and red, JBL sent me the teal set. While sound is more important than anything else, these are easily some of the coolest-looking headphones I own. I love seafoam green and colors close to it, and these definitely fall under that. That's going to be super, super subjective, but I love this color choice and wish more hardware was available in it. These things are gorgeous. On the accessory side, the headphones come with a bright-orange USB cable and color-matched audio cable. The cable is microUSB, but the side that plugs into your computer or charging port is reversible – a nice touch. First off, battery life is, like the rest of the build, solid. 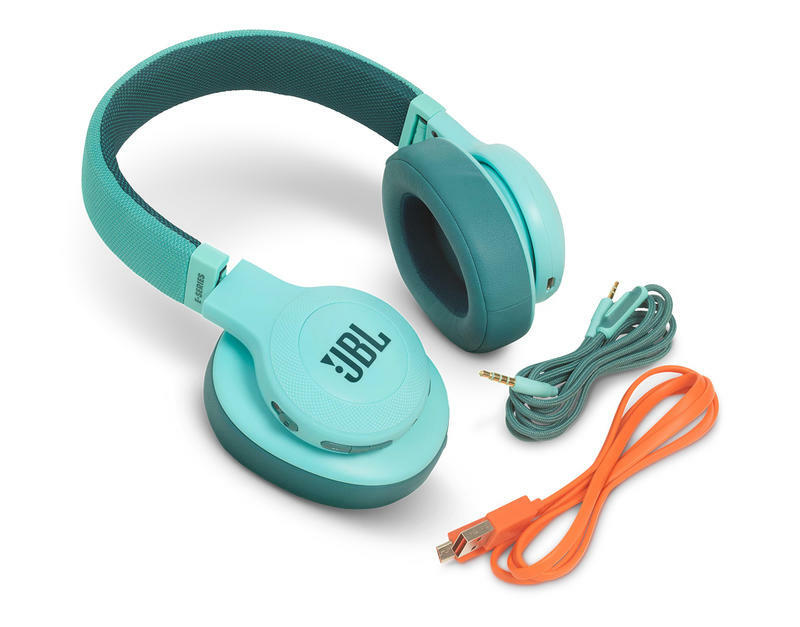 JBL advertises 20-hour battery life with these, and that seems pretty close to my experience with them. I've had a hard time wearing them down completely. One nice touch the E55BTs offer that I haven't personally run into on another pair of Bluetooth headphones – though that might just be my luck so far – is a device-switching button. If you have these paired up to say, a laptop and a phone, switching between the two is as simple as pressing a button. When you pair this with a service like Spotify that remembers what you were listening to and where you were in the song, this is really slick and worked quite well for me. I was able to switch from my phone to my computer and back when necessary, and it was always easy. While these are clearly geared more toward music than toward chatting, the E55BTs do feature a microphone for calling. I'd like to tell you how the mic sounds, but every time I tried to use them to make a call, the headphones would quickly drop and I'd be stuck wondering where the caller on the other end went. The majority of my time with them was spent paired to my Samsung Galaxy S6, and it never had a problem when listening to music. But I was never able to get more than a few seconds into a call with them. That may be device or environment-specific, but it was a consistent problem for me. 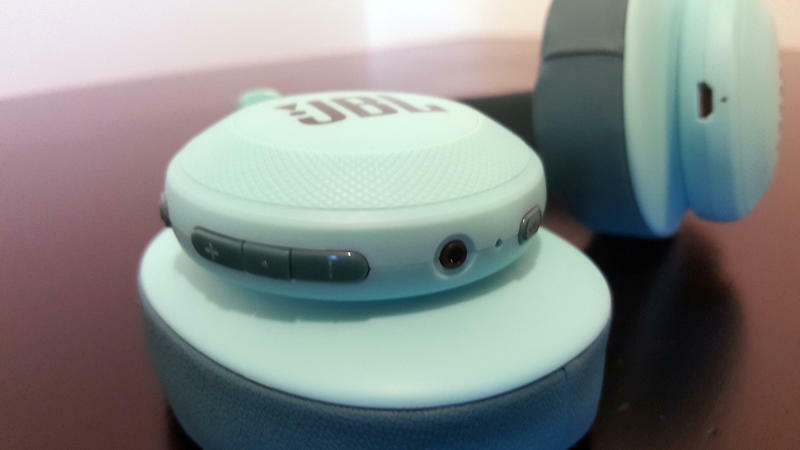 While I can't speak to the call quality they might offer, I can say that for a someone who wants to listen to music on the go and doesn't mind the outside world intruding in, these are a worthy buy. At $150, they're not overly expensive, and every part suggests they should stand up to all the standard, everyday abuse one can throw at them. 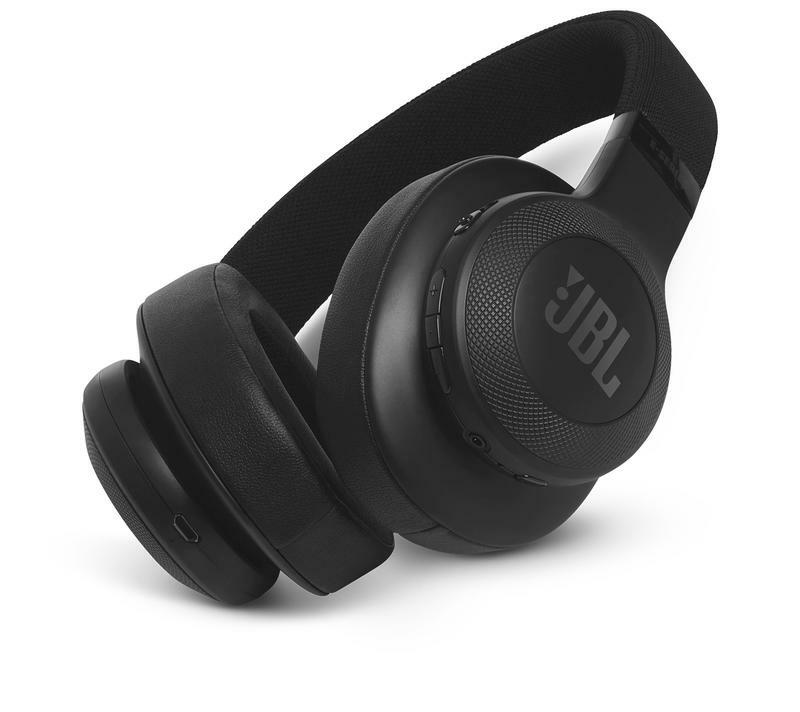 Disclaimer: We spent roughly 20 hours listening to the JBL E55BT headphones in a combination of both Bluetooth and passive modes and made multiple attempts to use the microphone in calls before giving up.